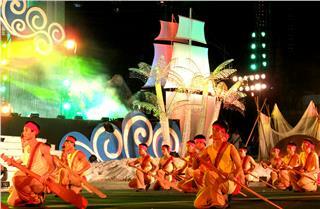 Halong Carnival is considered an annual cultural and tourist event featuring the culture in northeast coastal area. The festival is also a promise of bringing great and exciting activities to both local and foreign tourists during the festival. 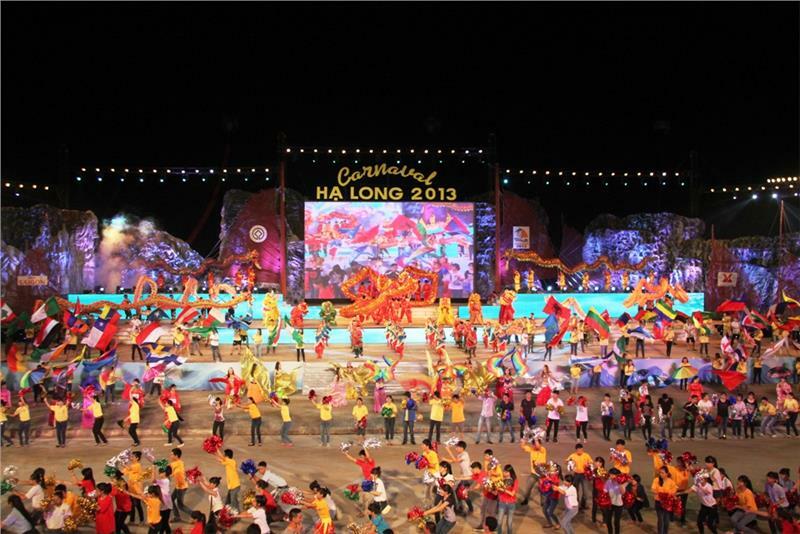 Halong Carnival has purposes of introduction, exploitation, promoting cultural identity and values ​​of ethnic groups, and cultural and tourist potential of areas in Quang Ninh. The most highlighted attraction in this province is Halong Bay – the world natural heritage. Thereby, this festival can promote to attract tourists and investors in the country in general and in this province in particular. Halong Carnival intrigues tourists by the colorful artistic performances in large scales, and meticulous arrangement in a cheerful and lively festive atmosphere. 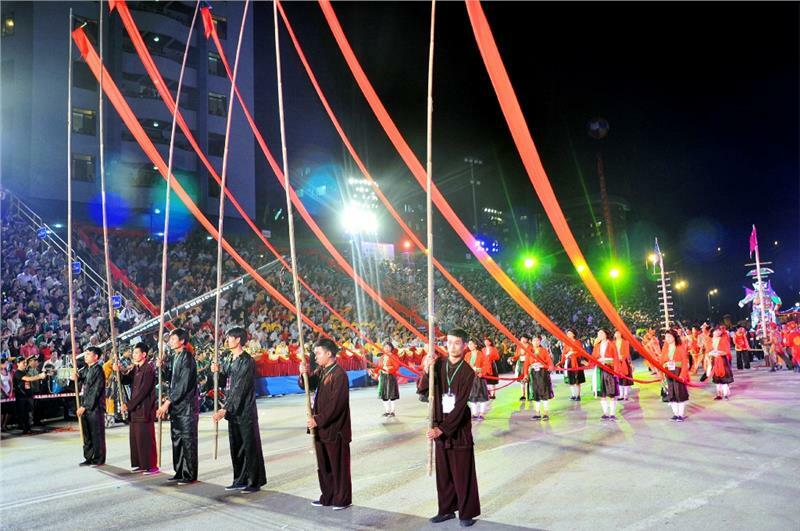 Joining these performances is tens of thousands of people from models, beauty queens, professional actors to non-professional ones, along with local people, units representing regions in Quang Ninh province, and art groups from other countries. The content of performances is divided into many topics celebrating the beauty of nature and human in this land, Quang Ninh with many characteristics performances of Korean, China, Laos, and Philippines art troupes. 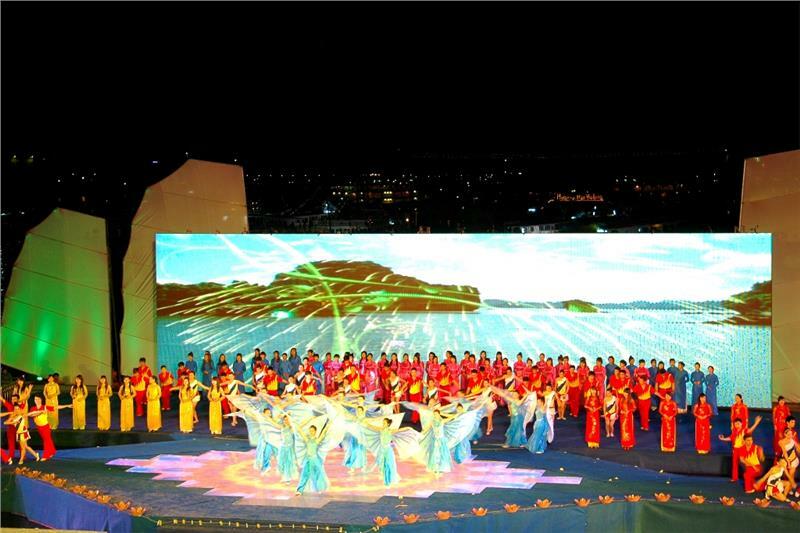 Over eight times of organization, the Halong tourism festival is often held from late April to early May annually in Halong City. The city has advantages of beautiful landscapes, favorable conditions of locations and climate. 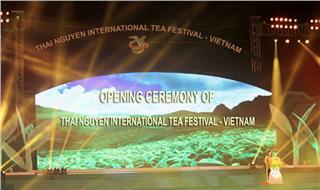 As usual, the festival takes place through Hoang Quoc Viet, a spacious street in this city. Each Halong Carnival has different and interesting theme, which creates various and colorful atmosphere appealing tourists from everywhere. 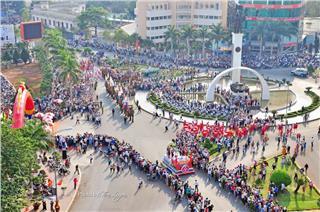 The Halong Carnival organized in 2010 with the theme “Integration of international culture”, theme of Halong Carnival in 2012 was “Quang Ninh: Convergence and Diffusion”, and so on. 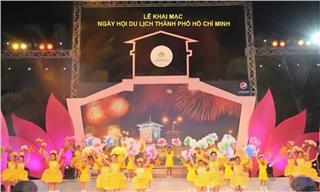 Specifically, since 2012, Halong Carnival is developed towards exploitation, promotion, glorifying cultural identity, values ​​and tourism potential of ethnic peoples in Quang Ninh. Accordingly, Halong Carnival is partly characterized by performances of ethnic communities in the province with shows of original and artistic cultural values ​​of intangible cultural characteristics. 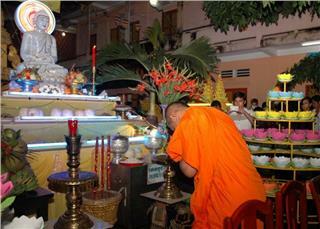 Tourists will be surprised and choked with a number of strange ceremonies of ethnic minority people happening on streets. In addition, dancing and singing performances of beautiful ethnic people will appeal tourists to exciting atmosphere of this festival. 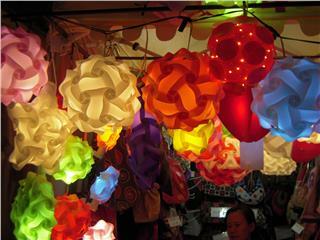 At the same time, a number of traditional festivals, cultural activities, unique folk arts are also reproduced in the framework of the festival. 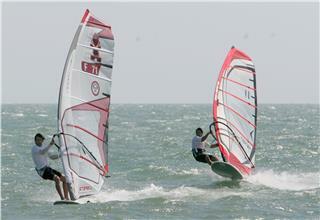 Besides, there are a series of rich and attractive culture, tourism, and sports activities, such as cultural and artistic performances about Halong – Quang Ninh, culinary festivals, beach volleyball International tournament for women in Tuan Chau Island, and other sports events, photo exhibitions on Halong relics and antiques. 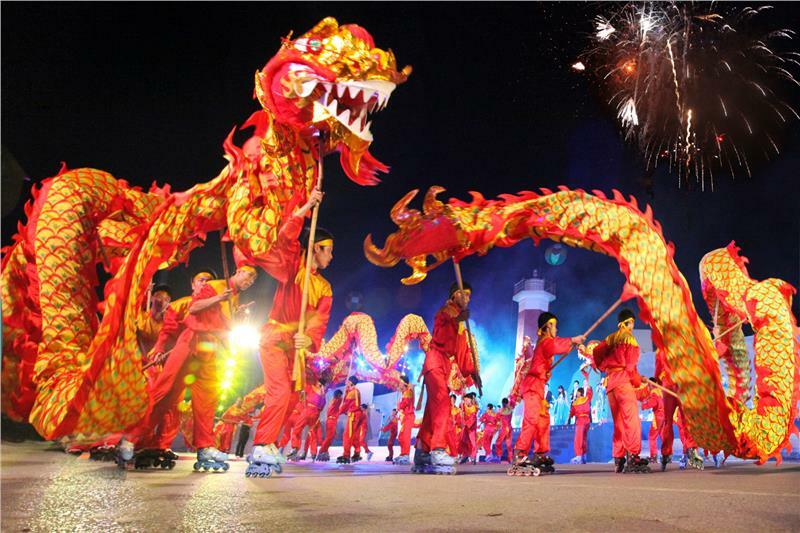 As one of new festivals in Halong, Halong Carnival is the harmonious combination between traditional and modern features. 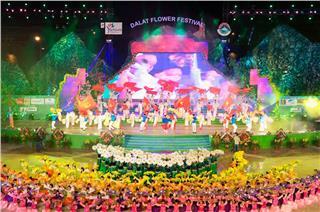 The festival is a colorful feast showing natural beauty and people in this land. Along with that, Halong Carnival is an opportunity to call on community to continue promoting the preservation, restoration the value of Halong Bay – the world natural heritage. 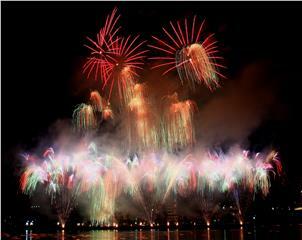 Halong Carnival is one of new festivals in Vietnam having the foreign participation. 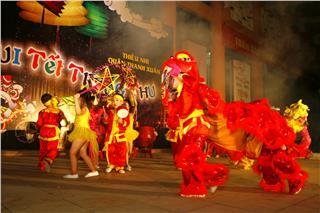 Halong Carnival is seen as an activity having profound cultural meaning. 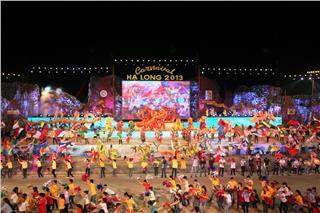 Over the years, Halong Carnival is increasingly improved to meet the need of local people and tourists. 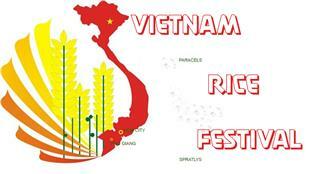 Apart from the participation of ethnic minority groups in Quang Ninh, there is also the joining of foreign actors with colorful and professional performances. For example, artistic performances are combined with colorful street parades of flowers boats, dancing, folk shows of other countries. 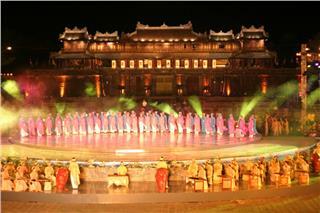 Annually, there are thousands of actors coming from China, Korea, Laos and Thailand to perform during the festival. 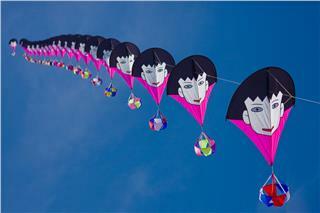 The festival appeals a large number of both domestic and foreign press. The foreign performances are not just the chance to exchange cultures among countries, but also help Halong – Quang Ninh promulgate its image to the entire world, thus, tourism in Halong can be developed significantly.